This is the second book of the series Technical applications of administrative law for lawyers and civil engineers. 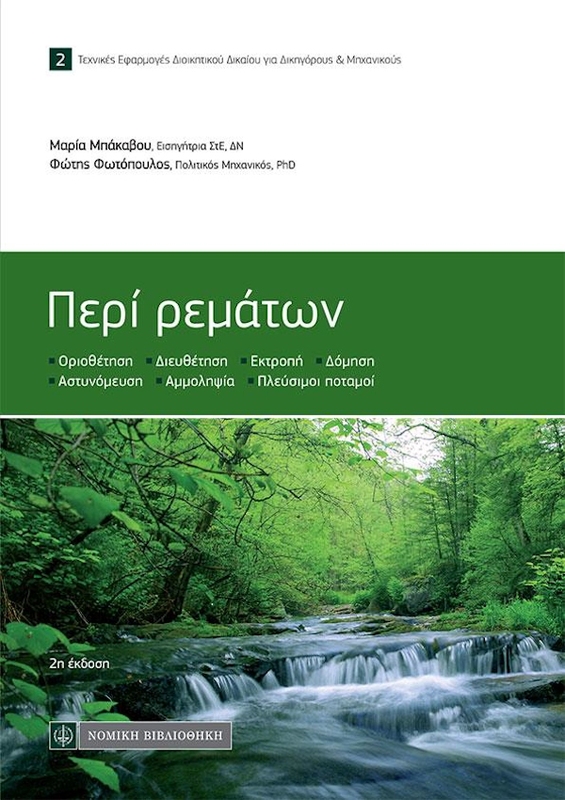 It focuses on streams and their environmental importance, namely what constitutes a stream under Greek law (4258/2014), how a stream is delineated, protected and enhanced to withstand flood flows. The first part of the book examines the concepts and sets of rules regarding streams, while the second explores all possible technical applications.